Disclaimer: This is not a sponsored post. 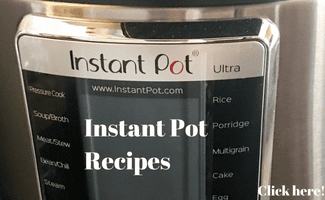 I was not paid anything to post this recipe nor to promote their links. I did not receive any product for review. 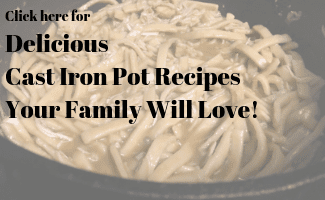 This is simply a recipe I thought my readers would enjoy. All photos are property of Explore Cuisine and I was given permission to use them. 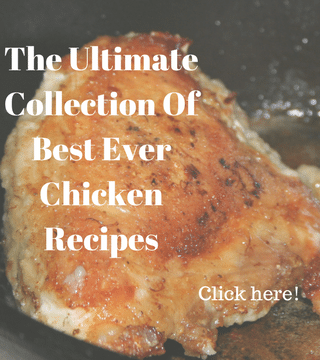 This post, does however contain affiliate links which means if you click on a link and buy an item from that link, I get a small percentage of the money. 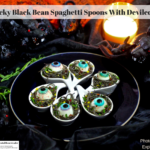 I fell in love with the look of the Garlicky Black Bean Spaghetti Spoons with Deviled Eyes recipe when it appeared in my inbox. 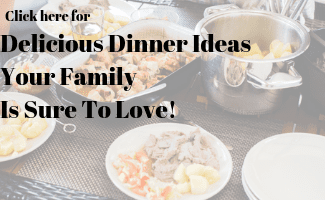 I knew this spooky halloween recipe was one my readers would love so I asked Explore Cuisine if I could share it with you. They said that I could, so here it is. These are perfect for adult Halloween parties – or even sophisticated Halloween dinner parties. I am sure kids would love them too but I would opt to serve them in something other than the ceramic spoons shown in the photos. 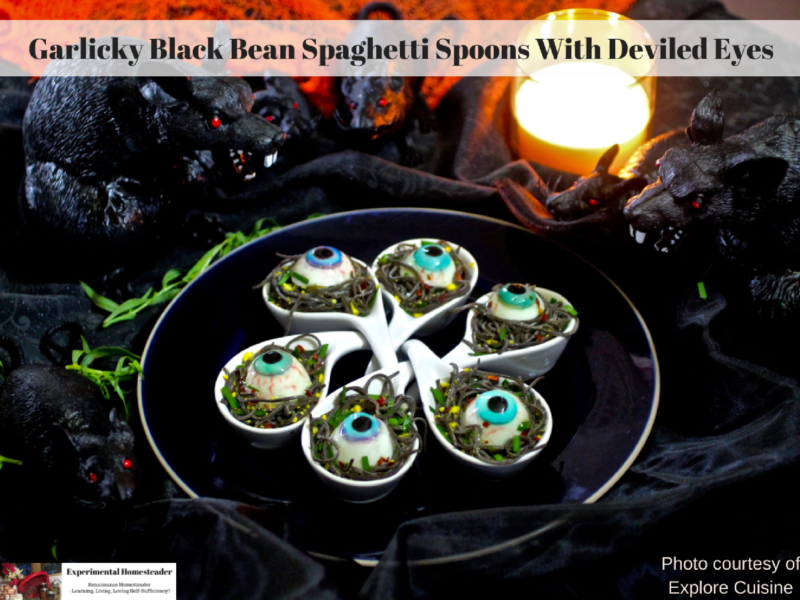 Here is the recipe for the Garlicky Black Bean Spaghetti Spoons with Deviled Eyes. In a medium bowl – combine olive oil with garlic, herbs, salt and chili flakes. Sprinkle with grated egg yolk. Arrange spaghetti in decorative serving spoons. Place deviled eyes in center. If you like this post, please pin it to your appropriate pinboard on Pinterest.